How Does an Auto Lease Look on My Credit Report? 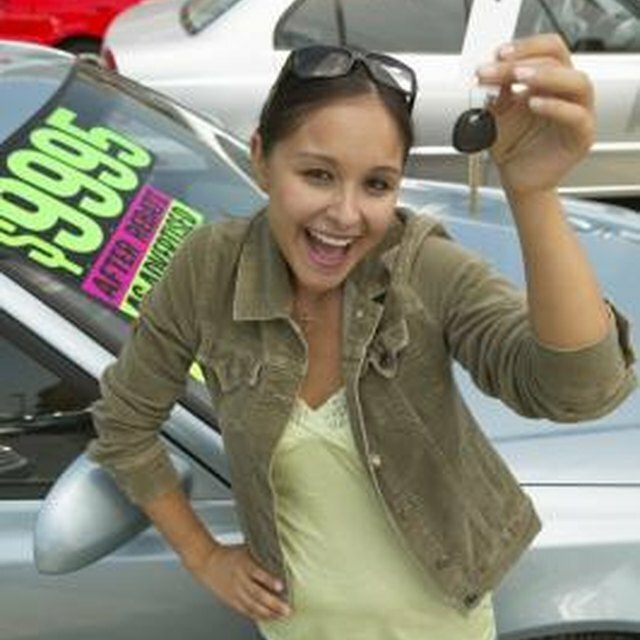 A car lease is very similar to a car finance account when listed on your credit report. Possible lenders and others who access your credit report see various details about your vehicle lease. Some leasing banks only report information to one credit bureau, while others might report to all three, so your lease account might not show up on your credit report at all. The amount you pay each month is listed next to your lease account on your credit report, along with the name of your leasing bank. This information is often used by other lenders to determine your debt-to-income ratio, which is the amount of debt you owe versus your income. While your monthly payment is visible, the amount of money you put down toward your lease is not. The term you agreed to at the time you originally leased your vehicle is also listed on your credit report, as well as how many payments you've made already. If you chose a 36-month lease, for example, the number "36" appears next to your lease account. The number of payments you've already made is also listed as a single number. Most leasing banks report only the amount you owe during your lease period to the credit bureaus. Since leases usually require a lessee pay for around half of a car's value, the total cost of the car doesn't usually show up as a total debt. For example, if you're leasing a vehicle that costs $25,000 but pay for only $14,000 during the lease term, this amount shows as your unpaid debt instead of the entire cost. Does Leasing a Vehicle Affect the Credit Score the Same as Purchasing a Car? What Documents Are Required to Get a Car Lease? If you co-signed for a lease or needed a co-signer for your own lease account, this information shows on your credit report, as well. Leasing banks report a number "2" next to the lease account when a co-signer exists, along with whether you're the co-signer or the main lessee. The lessee is listed as a number "1" and the co-buyer is listed as a number "2". So, if your the co-signer for someone else's lease, your lease account reads "2-2". Late payments are reported to the credit bureaus when you're 30 days or more late. The number of times you submitted a late payment is also shown with your lease account. For example, if you were 30 days late three times over the lease term and 60 days late two times, your lease account reads "30-3, 60-2" on your credit report. This information remains on your credit report for seven years. SmartMoney: How Will Leasing a Car Affect My Credit Score?